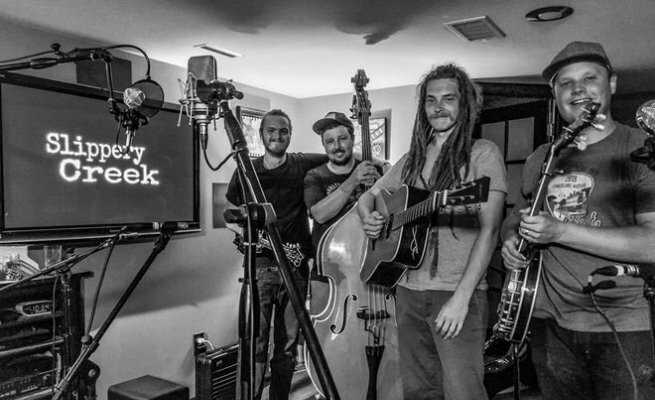 "Slippery Creek is a group of young pickers from the Cincinnati and Northern Kentucky area. Focusing on the deep traditional roots, Slippery Creek brings that old time style of hard drivin' bluegrass to today's audience. With lonesome vocal harmonies and solid instrumental arrangements, they will take you back to the early days of the Grand Ole Opry."